If you have been searching for a 1X chainring for the new XTR crankset? Here it is. 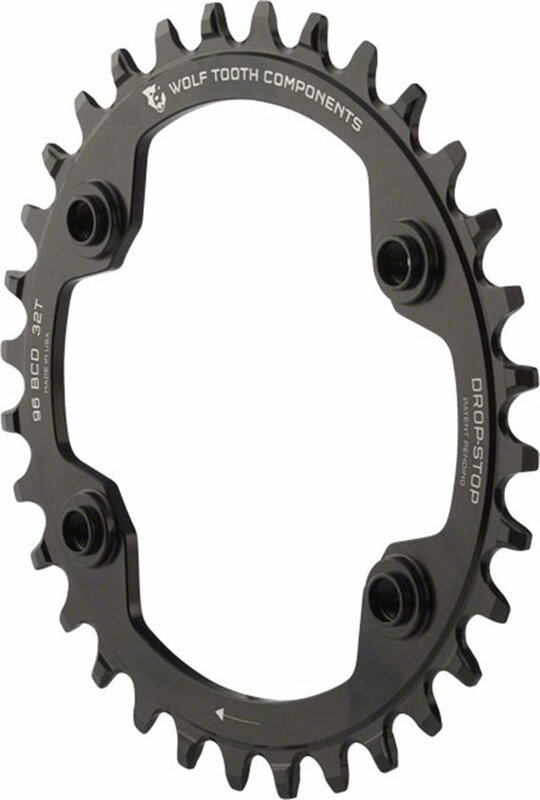 The Wolf Tooth 96mm BCD chainring fits the Shimano XTR M9000 and M9020 cranksets exclusively. They have an asymmetrical 96 mm BCD with built-in threaded standoffs to provide the perfect 1X chainline. Does not come with bolts. Use only the stock Shimano XTR M7 chainring bolts because the conventional M8 bolts will not fit. Wolf Tooth bolts will not work with this ring either. The needed Shimano bolts come with the crank arms. All chainrings feature Wolf Tooth's Drop-Stop tooth design and are made from 7075 Aluminum. Recommended, wolf tooth chain ring. This is my first wolf tooth chain ring, its awesome it is smooth. It makes a chain turn around the cranks! Serious- it uses existing bolts but doesn't use the stock covers. Something to consider if you care. Good chainring but cannot use bolt cover! Will this also fit M8000 cranks? BEST ANSWER: No. The WT M9000 chain ring only fits the Shimano M9000 crank arms. Wolf Tooth specifically makes a chain ring for the Shimano M8000 crankset. The two rings are different and not cross compatible.